This is not going to be pretty so I will make it short. I’m very disappointed with this story. I really wanted to like the book because I love reading these type of stories. Those with realistic fiction elements but this one was all over the place. It was odd and I didn’t feel comfortable reading it, and I am very odd. I just couldn’t keep up with it and for the most part I was highly annoyed. Then there are the ****** instead of the curse words, which is understandable for a young adult but when these are back to back, you really do not know what the character is trying to say! Let alone having ****** the entire page! 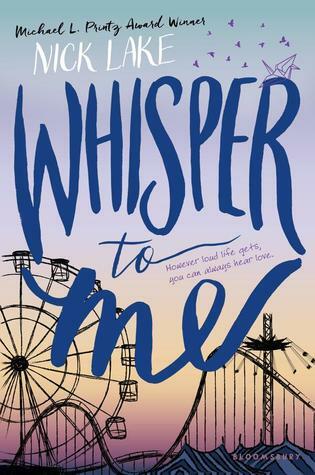 Overall, Whisper to Me was not a book for me. In fact, I should’ve DNF but I kept reading it to see if Cassie would give me something else other than her summer crush. And then pacing was just so slow, she just kept going in circles. Which is somehow understandable when you realize she is not mentally stable. I do want to point out that I did enjoyed when she made friends with a girl she was not allow to hang with. Those moments I did liked since Cassie would do things she is not used to doing. Yet everything else just rambles and wanders off. Maybe you're think this story is quirky so if you want to go for it, then go ahead. 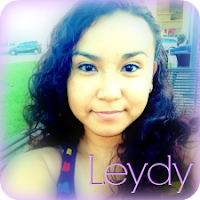 I'm sorry to hear you didn't like this one, Leydy. The cover looks great and the synopsis sounds interesting, so I thought I might like this story. But based on your review, I think it's better for me to pass. Anyways, thanks for the honest feedback!